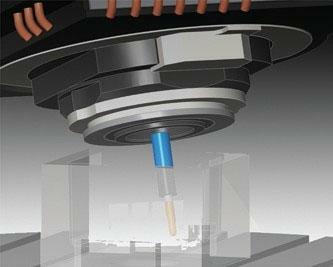 n the process of continuous five-axis machining simultaneous movement along all of the five axes of the machine may take place. 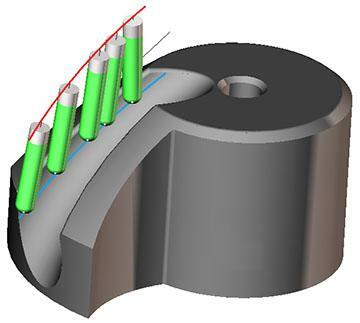 The key feature of this type of machining is that along with the control strategies of the cutter movement over the surface of the part, strategies of tool axis orientation control are used. 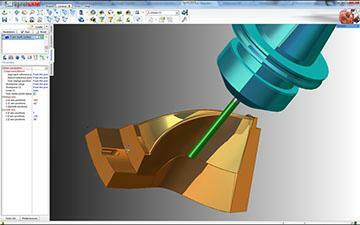 Strategies of the tool motion over the surface of the machined part are well known, these are, for example, layer rough sampling of material, finishing motions providing constancy of the height of the ridge, motions along the defined curves on the surface, between the curves on the surface, between the check surfaces, etc. 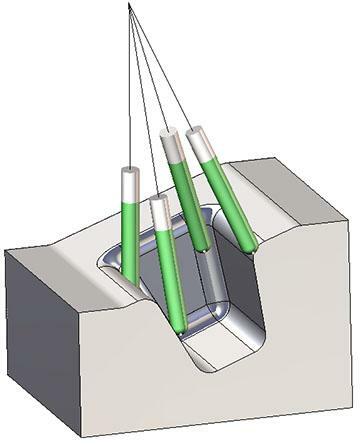 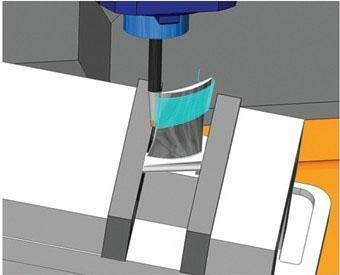 However axis orientation control strategies are the methods, allowing to change the tilting of the tool axis during machining according to the certain fixed rules. 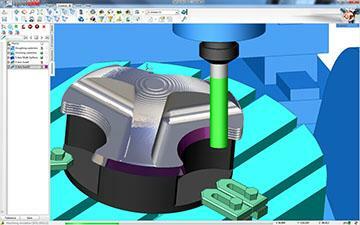 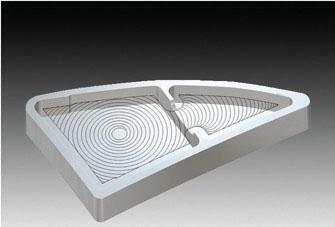 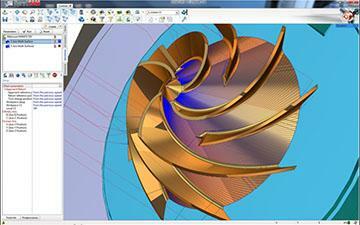 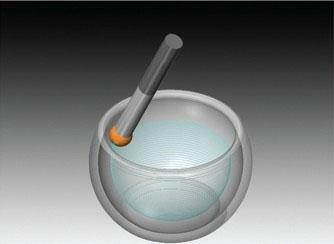 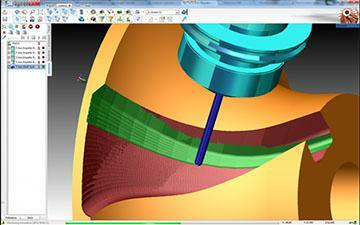 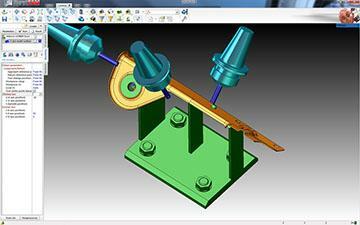 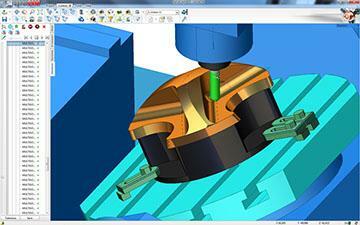 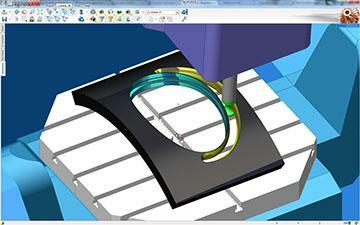 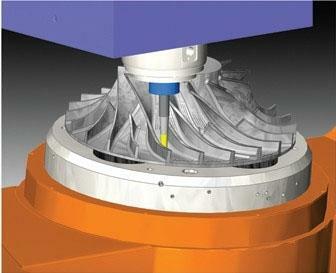 The simplest way from programming viewpoint is the orientation of the cutter axis normally to the working surface. 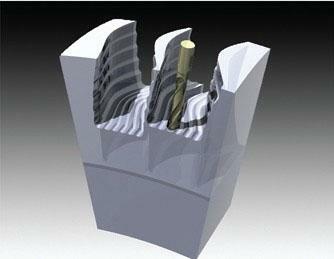 This method has a number of disadvantages, for example, the path often falls outside the axes movement range, it is also impossible to machine the interiors of the part, the life of the cutter is short because the cutting point is located in the small cutter area, finally, cutting speed in the axial cutter area is much lower than in the outside area. 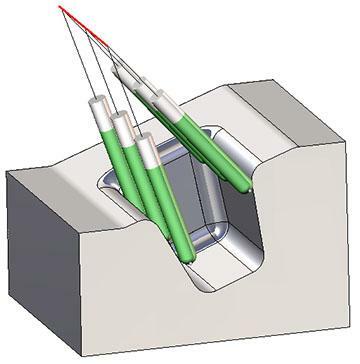 And beside that in case of using such a processing method it is difficult to take into account the presence of fixturing, tool holder geometry, to bypass nonmachining forms of the part. 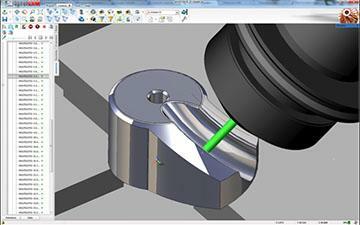 To resolve these problems SprutCAM uses various strategies of cutter orientation control relative to the work part surface.